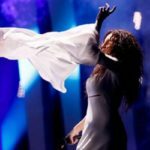 Yianna Terzi, as we all remember, represented Greece this year,in the 63rd ESC, with the song “Oniro mou”, a song with a purely Greek verse loved by millions of fans, inside and outside of Europe. It was an ethnic ballad with pure Greek soundtrack, written by Aris Kalimeris,Michalis Papathanasiou and Dimitris Stamatiou. We also remember, however, that despite the love that this song received, it did not eventually qualify to the final, and many still speak about one of the greatest injustices in the life of the institution. 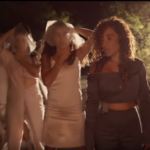 However, the song continued to be listened and lived, and it is one of the few entries that despite it did not qualify to the final, it has exceeded ten million views on YouTube. After about a month, and as the singer had announced herself, we were informed that the English version o entitled “Eternity,” written again by Aris Kalimeris, will be soon released. Before a while,”Eternity” was released and is now available on Spotify, ITunes ,YouTube and other electronic music platforms. 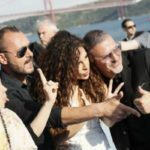 Greece 2018: What did Greece ask for tonight?